Click here to print the 2009 Induction Gala Ticket Application Form. TORONTO (June 23, 2009)  Bill Hay, Chairman of the Hockey Hall of Fame's Board of Directors, and Jim Gregory and Pat Quinn, Co-Chairmen of the Hockey Hall of Fame's Selection Committee, announced today that Brett Hull, Brian Leetch, Luc Robitaille and Steve Yzerman have been elected to the Hockey Hall of Fame in the Player Category and Lou Lamoriello has been elected in the Builder Category. The vote took place today at the annual meeting of the Selection Committee in Toronto. 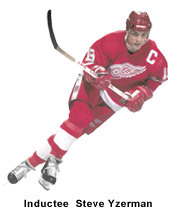 "It is a tremendous honour to receive this news," said Steve Yzerman. "I want to thank the Selection Committee for recognizing my contributions  I truly had chills down my spine when I got the news." In the Builder Category, long-time New Jersey Devils General Manager, Lou Lamoriello was honoured for his over 40 years of contributions to the game  both at the collegiate and NHL levels. Under his leadership the Devils have won three Stanley Cups: in 1995, 2000 and 2003. "This award is completely unexpected," said Lamoriello. "Over my career I have been fortunate to have been associated with great players, coaches and scouts, and this award recognizes their contributions to my career." 5th Player in NHL history to record 50 goals in 50 games or less, behind Gretzky, Richard, Bossy, Lemieux. Holds records as the St. Louis Blues' all-time leader in playoff games played (102), playoff goals (67), points (117), and game-winning goals (15). 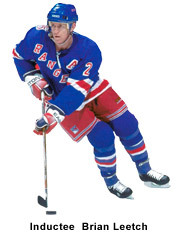 Represented the USA at two Olympic Winter Games (1998, 2002 - silver), two World Cups (1996 - gold, 2004 - bronze), at the 1991 Canada Cup (runners-up), and the 1986 IIHF World Championship. Born October 21, 1942 in Providence, Rhode Island. Attended Providence College and then continued on as a coach and Athletic Director 1967-1987) 15 years as a coach, 5 as Athletic Director. Captained both Hockey and Baseball teams while an undergraduate. Played, coached and Managed in the Cape Cod Baseball League. Served as an assistant coach for four years at Providence immediately following graduation in both hockey and baseball. 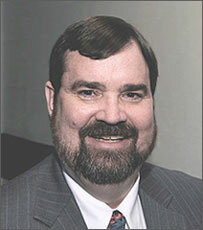 Served as member of Big East Conference Television Committee and NCAA Professional Sports Committee. One of the co-founders of Hockey East Association. Served as Commissioner of Hockey East from 1983 -1987. Lamoriello Cup has served as Hockey East's Championship award since 1989. Became the New Jersey Devils President in April, 1987 and assumed dual role as President and General Manager prior to 1987-88 training camp. A position he has held for 21 seasons. Has assumed role of Head Coach of the Devils twice during his tenure: December 19, 2005 through 2006 playoffs, and from April 2, 2007 through 2007 playoffs. Won the Stanley Cup 3 times, 1995, 2000 and 2003. Led Albany River Rats to the AHL Calder Cup Championship in 1995; became the first club since the 1976-77 season to win dual NHL/AHL championships. 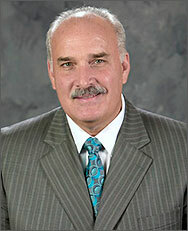 A member of the NHL Board of Governor Executive Committee and a member of the General Managers' Steering Committee. Served as General Manager of Team USA during the 1996 World Cup of Hockey and the 1998 Nagano Winter Olympics. Over last 13 seasons with New Jersey, Devils have had ten 100 point seasons, and have won 4 Eastern Conference and 7 Atlantic Division championships. Inducted into the Providence College Athletic Hall of Fame in 1982. Named winner of the Lester Patrick Trophy in 1992. 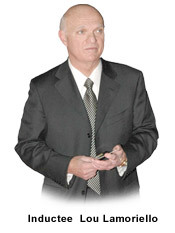 Named recipient of the 2000 Unico National Vince Lombardi Award for Professional Sports Achievement. Received Honorary Doctorate Degree from Providence College in 2001. Inducted into New Jersey Sports Hall of Fame in 2002. Received Ellis Island Medal of Honor, May 2003. Inducted into the Rhode Island Heritage Hall of Fame and the LaSalle Academy (Rhode Island) Hall of Fame in 2004. Member of the Board of Directors of the Yogi Berra Museum since 2006. Currently serves the Detroit Red Wings as Vice-President, Hockey, and as General Manager of Team Canada for the 2010 Winter Olympic Games. TORONTO (June 2, 2009)  Bill Hay, Chairman of the Hockey Hall of Fame, announced today that DAVE MOLINARI, the newspaper voice of the Pittsburgh Penguins will receive the Elmer Ferguson Memorial Award for hockey journalism. Hay also announced that JOHN DAVIDSON, a long-time broadcaster who is currently the President of Hockey Operations with the St. Louis Blues, will receive the Foster Hewitt Memorial Award for outstanding contributions as a hockey broadcaster. Molinari is described by his colleagues as a survivor whose subtle blend of dry wit, humour and sardonic writing style has captivated readers in Pittsburgh for more than two decades. Most notably, he was the lead chronicler for all of the highs and lows of Mario Lemieux's career as the lead hockey beat writer for the Pittsburgh Post Gazette. "Since 1983 Dave Molinari has been telling the Pittsburgh Penguins story with the perfect blend of insightful analysis and entertaining prose," said PHWA President Kevin Allen. "The fans of Pittsburgh have been fortunate to have highly skilled players such as Mario Lemieux, Jaromir Jagr, Evgeni Malkin and Sidney Crosby. And they have been equally fortunate to have a highly skilled writer such as Dave to chronicle their successes. With his dry wit, Dave is also the leading press box humorist in the hockey writing community. He is one of the most respected hockey writers in the game today." Davidson, a former goaltender for the St. Louis Blues and the team's first-round draft choice in 1973, boasts an impressive hockey career on and off the ice, including as a analyst for the Madison Square Garden (MSG) Network, CBC and various other national hockey broadcast partners in the United States and Canada. Awarded the Lester Patrick Award in 2004 for his contribution to American hockey, Davidson's distinguished broadcasting career includes lead analyst work at the past five Winter Olympic Games. "John Davidson has had a remarkable career in almost every aspect of professional hockey, and we as a broadcast community benefited immensely from his expertise and professionalism," said Chuck Kaiton, President, NHL Broadcasters' Association. "He is an incredibly deserving recipient of this honour." Molinari and Davidson will receive the awards at a luncheon presentation on Monday, November 9, 2009. This year's Hockey Hall of Fame Induction Weekend will take place November 6th to 9th, culminating with the Induction Ceremony beginning at 7:30 P.M. (EST) on Monday, November 9. The 2009 Hockey Hall of Fame Inductees will be announced on June 23rd, following the annual Selection Committee meeting that same day. 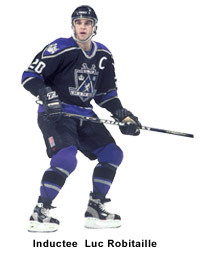 Please visit HHOF.com for first-year eligible players for induction in 2009. Established in 1943, the Hockey Hall of Fame is a museum and place of entertainment offering state-of-the-art exhibits and multimedia presentations from its premises at Brookfield Place, Toronto, Canada. Its mandate is to recognize and honour the achievements of teams and individuals who bring special distinction to the game of hockey, and to collect and preserve objects, images and resource materials connected with the game as it is played in Canada and throughout the world.